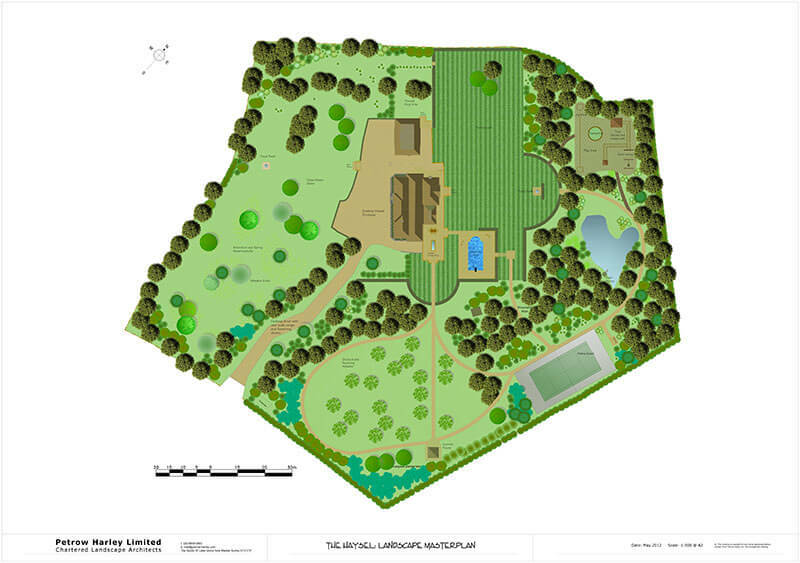 Landscape Master Plan for a large house in extensive grounds. The design proposals included a natural play area, orchard, swimming pool, tennis courts, arboretum as well as formal lawns, patio and a hierarchy of paths linking all the areas. 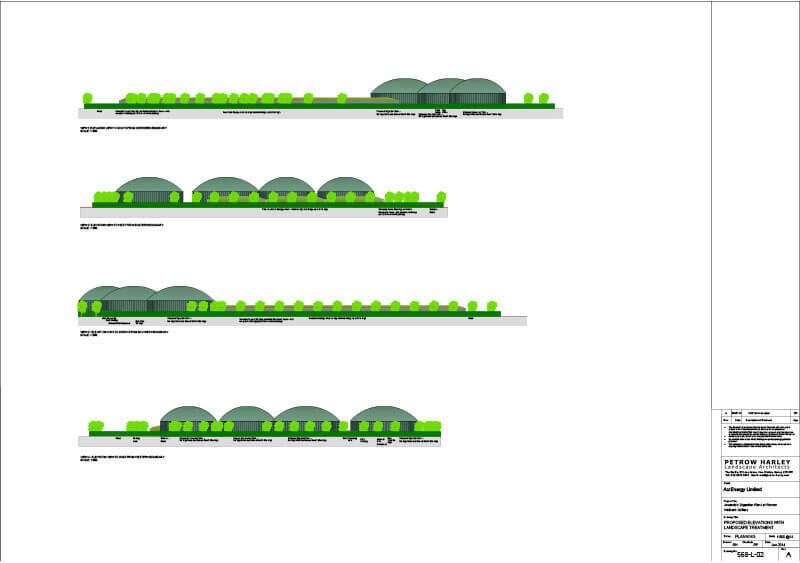 Landscape design proposals for a town centre housing development in Dorking. Working with engineers and architect incorporating sustainable urban draining (SUDs) and including riverbank restoration. The team at Petrow Harley provided planning conditions for a new housing project within Hastings. Petrow Harley provided landscape planning advice for an appeal for a new development in Lower Kingswood. The practice prepared a new master plan with a new master plan with landscape proposals providing an appropriate transitional landscape adjacent to the green belt farmland. The appeal was successful and fully occupied. 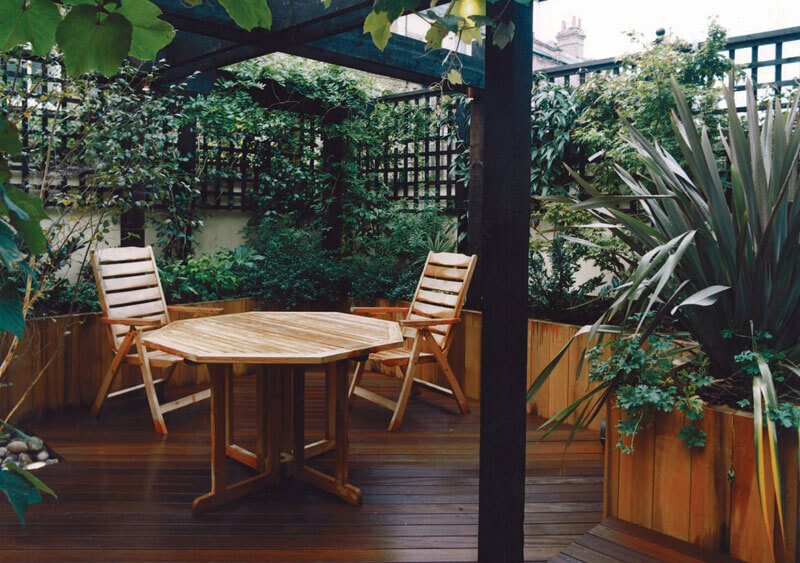 Landscape Planning and Design for green energy. Petrow Harley prepared a landscape visual impact assessment and design proposals to accompany a planning application to construct an Anaerobic Digestion Biogas Plan on the land at the former Welbeck Colliery, Meden Vale approved in November 2014. Working with a number of different developers in this garden estate Petrow Harley designed landscape master plans, tree surveys, planting plans and details. 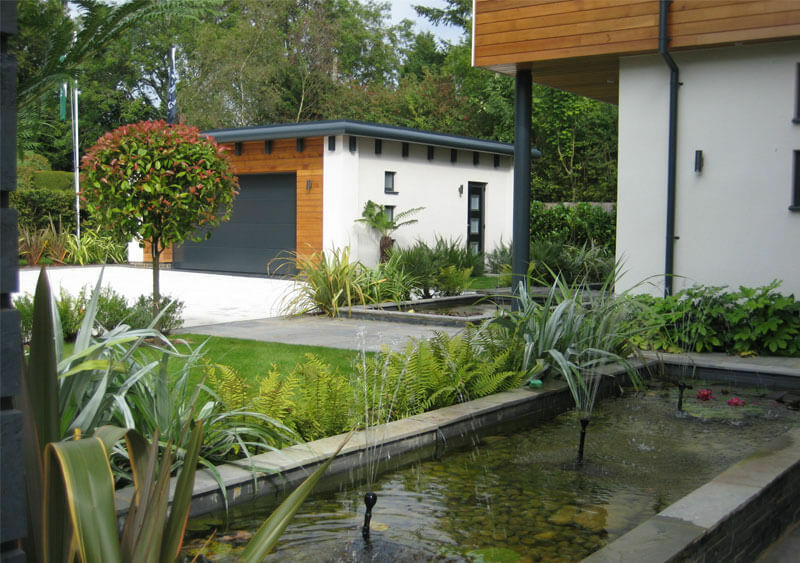 The external spaces were designed and built to the same high specification of materials and quality as the homes. Landscape proposals and planting plan and associated maintenance information were drawn up and prepared for the development of new flats in Croydon.